These days most people can't imagine not having a camera on their person at all times but in days of yore if you wanted to document what you saw you actually had to carry a REAL camera around with you. At that time the cutting edge of instant photography was the rock solid and always reliable Polaroid. 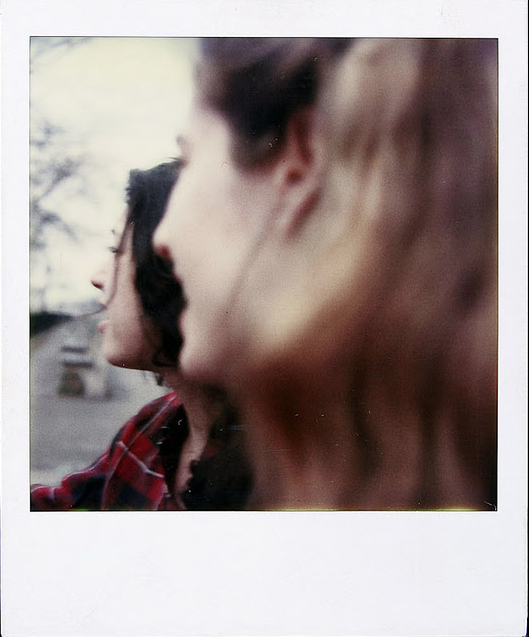 Before documenting the day to day experiences of life was chic, NYC photographer Jamie Livingston was shooting a Polaroid every single day. Why is this so cool? Because he did it for 18 YEARS STRAIGHT. That's right, Jamie lugged around a bulky (by modern standards) Polaroid and shot at least one photo per day for over 6500 consecutive days. Pretty impressive. What's more impressive is that these images are scanned and digitized for modern folks like you and me, preserving their historical significance for as long as internet survives. His first photograph was taken on March 13, 1979 and it was (you guessed it) of his girlfriend at the time. The last photo in his series was of Jamie on his deathbed as he was dying of cancer on October 25, 1997. It's a truly remarkable feat of discipline. You can see most of the images in their digital form HERE.